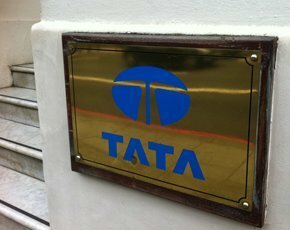 Tata Consultancy Services (TCS) has opened a delivery centre in Liverpool to ensure it complies with government rules on security as part of a contract with the Home Office. The centre will have more than 300 staff when the contract is fully up and running by the end of June. TCS recently won a contract with the Home Office to run the Disclosure and Barring Service (DBS), which was created when the Criminal Records Bureau and the Independent Safeguarding Authority came together. The new centre in Liverpool can provide services to government that fall within the government security accreditation Impact Level 3 (IL3). The previous contract was run by Capita for four years, and the new contract will see between 150 and 200 people transfer from Capita to TCS under Tupe rules. Capita is retaining the delivery centre it used for other contracts, so TCS had to set up a new centre. Because of the transformational nature of the contract, which involves automating processes, the new centre will employ more people than those transferred from Capita. It will be a mix of IT experts and back office staff, according to Shankar Narayanan, UK head at TCS. There will be a mix of existing workers, new UK hires and specialist IT workers from India. While the centre was designed to support TCS’s work on the DBS, it provides a platform from which to bid for more government work. “We are targeting UK public sector opportunities that allow us to demonstrate our transformational capabilities,” said Narayanan. “Our work in the public sector is focused on improving services for UK citizens and driving greater value for the UK government. Our investment in a new state-of-the-art secure delivery centre in Liverpool will allow us to effectively meet the business objectives of DBS to modernise and transform its business, while supporting our longer-term strategy for increased participation in transformation programmes for the UK public sector,” added Narayanan. TCS currently has government contracts with the National Employment Savings Trust (Nest), Cardiff City Council, the Child Maintenance Group and The Big Lottery Fund.